Tissue sample image created by a new lens-free microscope developed in the UCLA lab of Aydogan Ozcan. 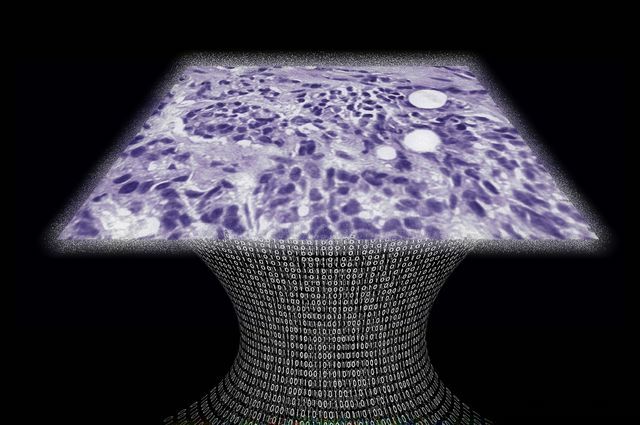 UCLA researchers have developed a lens-free microscope that can be used to detect the presence of cancer or other cell-level abnormalities with the same accuracy as larger and more expensive optical microscopes. The microscope is the latest in a series of computational imaging and diagnostic devices developed in the lab of Aydogan Ozcan, the Chancellor’s Professor of Electrical Engineering and Bioengineering at the UCLA Henry Samueli School of Engineering and Applied Science and a Howard Hughes Medical Institute professor. Ozcan’s lab has previously developed custom-designed smartphone attachments and apps that enable quick analysis of food samples for allergens, water samples for heavy metals and bacteria, cell counts in blood samples, and the use of Google Glass to process the results of medical diagnostic tests. The latest invention is the first lens-free microscope that can be used for high-throughput 3-D tissue imaging — an important need in the study of disease. 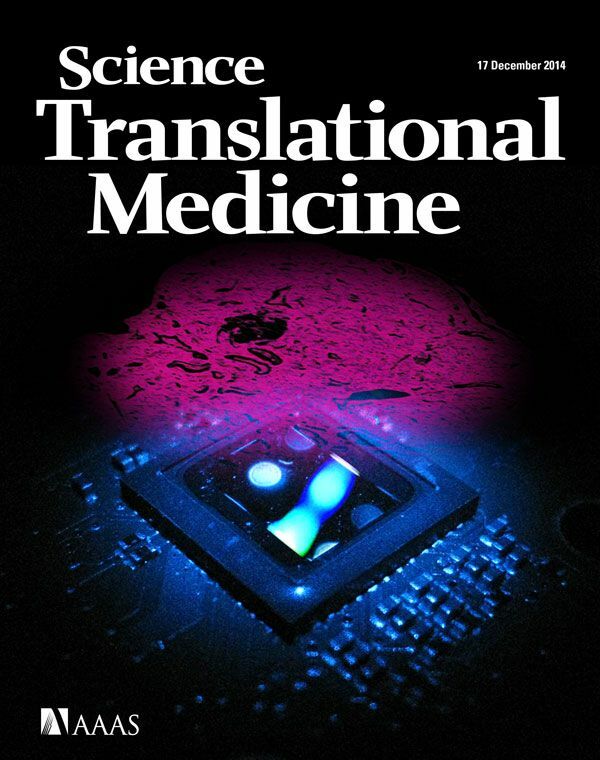 The research is the cover article today in Science Translational Medicine, which is published by the American Association for the Advancement of Science. The device works by using a laser or light-emitting-diode to illuminate a tissue or blood sample that has been placed on a slide and inserted into the device. A sensor array on a microchip — the same type of chip that is used in digital cameras, including cellphone cameras — captures and records the pattern of shadows created by the sample. Ozcan’s team tested the device using Pap smears that indicated cervical cancer, tissue specimens containing cancerous breast cells, and blood samples containing sickle cell anemia. In a blind test, a board-certified pathologist analyzed sets of specimen images that had been created by the lens-free technology and by conventional microscopes. The pathologist’s diagnoses using the lens-free microscopic images proved accurate 99 percent of the time. In addition to Ozcan, the principal authors of the research were Alon Greenbaum, a UCLA Engineering graduate student and a research fellow at HHMI, and Yibo Zhang, a UCLA Engineering graduate student. Other authors were UCLA Engineering graduate student Wei Luo, undergraduate researchers Alborz Feizi and Ping-Luen Chung, and Dr. Shivani Kandukuri of the department of pathology and laboratory medicine at the David Geffen School of Medicine at UCLA. The research was supported by the Presidential Early Career Award for Scientists and Engineers, the National Science Foundation, the National Institutes of Health, the Army Research Office, the Office of Naval Research and the Howard Hughes Medical Institute.